Fretter is the new kid. The weird kid. But also the awesome kid. Instead of using databases, it calculates chords! No longer are you limited to predefined chords or a few tunings. Slashed chords, advanced chords, Fretter knows them all. It's the ultimate ChordFinder! Use it for your Guitar, 4/5 string Banjo, 4 string Bass, Bouzouki, Lute, Mandolin, Pipa or Ukulele. Hear how the diagrams sound to compare. Choose from 70+ chordtypes and 50+ tunings. Requirements: Compatible with iPhone and iPod touch. Requires iPhone OS 8 or later. Easily select the chord you want. 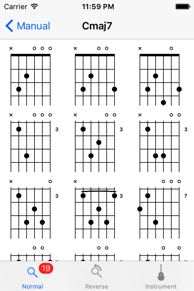 Get multiple results for every chord. Choose between several instruments and lots of tunings! If you want a reference guide with extensive possibilities but no nonsense, this is it. Best guitar app everywhere! Helped me so much with my first year of jazz band and I had to learn all these crazy chords. 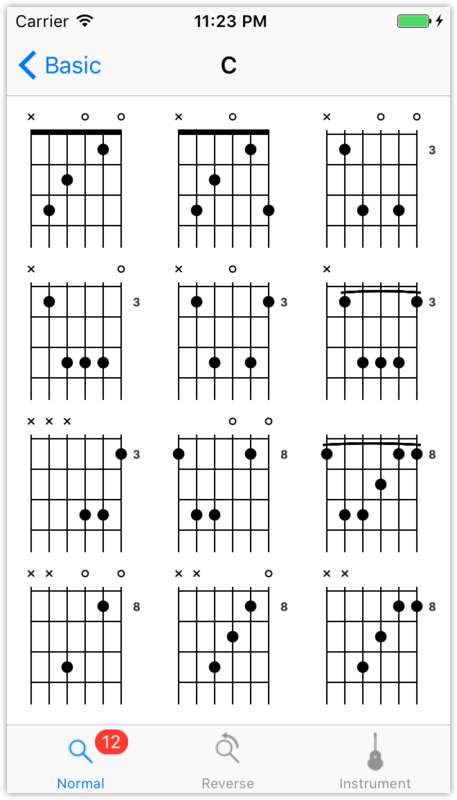 A wonderful all in one chord utility for the avid guitarist, ukulele player, and a few other instruments. Very highly recommend. 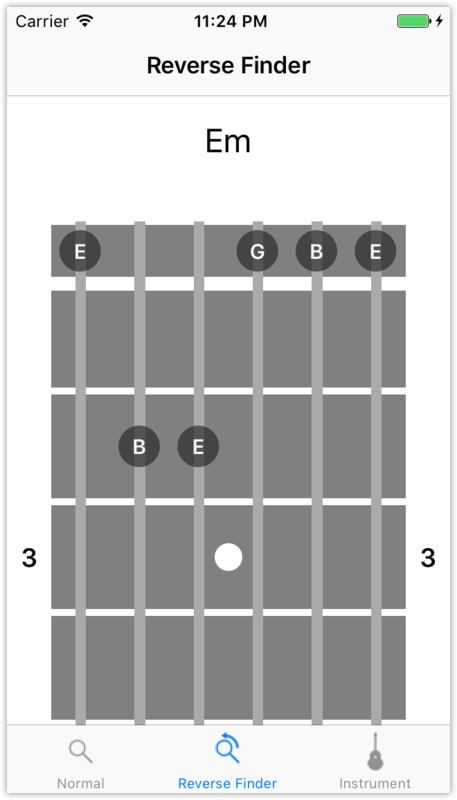 Where this app stands out though, is not in its vast reference of chords; it is in it’s reverse look up option. This program is by far the easiest to use and fully functional that I've seen. This is really a great app. It's better than my Mel Bay chord encyclopedia book. Hopefully our app is as self explaining as possible. But if you really need some help you can contact me. See the tab "contact" above for my email. Do you have this app for Android/WindowsPhone/iPhone? Good question! Yes, Fretter was originally developed for Android. Because of its huge success it has now been ported to iOS and Windows Phone. So everybody can enjoy Fretter goodness! Do you support custom tunings? Yes, you can select a custom tuning and edit that one. Do you have any independent reviews? Umito is the name of my company. I started developing mobile apps for Android, and Fretter was the first one. I just had learned java after C# and this whole new platform was coming. 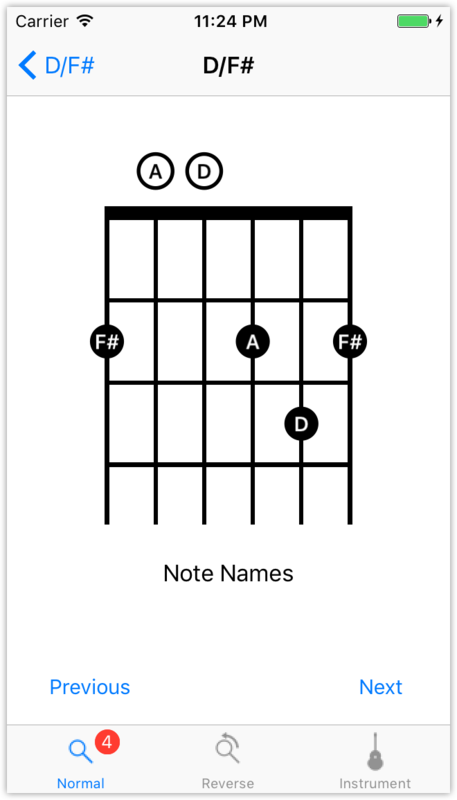 So it was quite easy and very rewarding to put my idea of a chordfinder into a app that I could sell. I also developed a mini piano application that has more than 100.000 downloads on the Android platform. 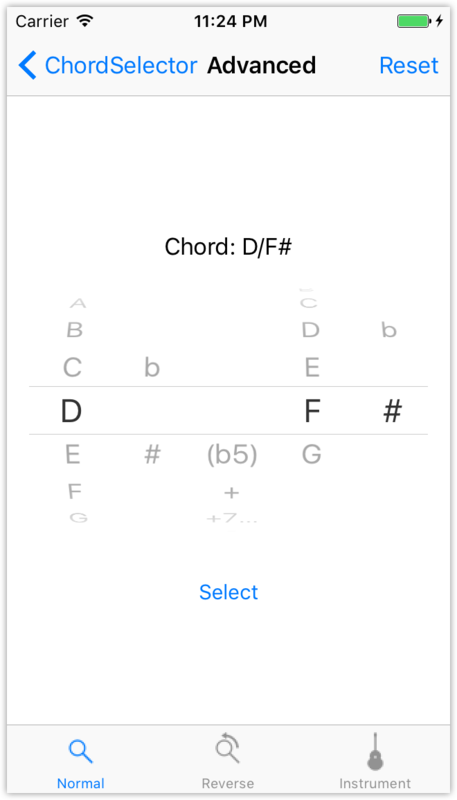 Also a Chord Dictionary app called KeyChord has been released. The iPhone version of Fretter was developed later on when Fretter already enjoyed quite some success on the android platform. If you need support, please contact me by email. Also if you see the need for a feature or change. I can't guarantee I'll implement your feature-requests, but you can always give me a new idea. Copyright © Umito. All Rights Reserved.